RG-130 Dial Indicator 0.2 in.x0.0001 in. 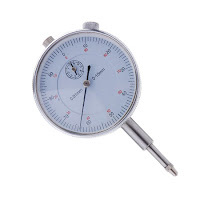 RG-131 Dial Indicator 1.0 in.x0.0100 in. Chrome plated shaft with simple clamping device. Powerful magnet with on-off switch. Precision ground surface.